Boca Raton, FL, March 21, 2017 --(PR.com)-- Restivo Monacelli LLP, an innovative tax, accounting and business advisory firm today announced the opening of its newest office in Boca Raton, FL. Restivo Monacelli’s team of Certified Public Accountants are skilled in various disciplines, including Tax, Audit and Accounting, Business Valuation, Litigation Support, Estate and Gift Tax Planning, Trust Administration and Compliance, Mergers and Acquisitions, and Strategic Consulting. 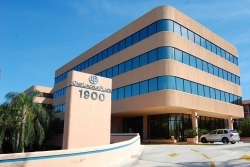 Restivo Monacelli’s Boca Raton office marks the firm’s third location, in addition to Providence, RI and Foxboro, MA, and enhances its ability to serve clients who do business or reside in south Florida. Restivo Monacelli provides professional auditing and accounting, state, federal and international tax services, estate and wealth preservation, strategic planning/consulting, business valuation, and business outsourcing solutions to clients throughout the United States. With a team of over 30 professionals and specialists at your fingertips, we deliver all the resources of a much larger firm with the responsiveness and personal service normally only found in a smaller, boutique firm. Restivo Monacelli stays ahead of the curve on industry trends, regulations and resources in order to guide clients across an ever-changing landscape. As a result, the firm has consistently grown and evolved to be a best-in-class tax, accounting and business advisory firm for clients nationwide. For more information, visit www.rm-llp.com. Restivo Monacelli LLP, an innovative tax, accounting and business advisory firm headquartered in Providence, RI, today announced the opening of its newest office in Boca Raton, FL.